Moka human form . . Wallpaper and background images in the Rosario Vampire club tagged: photo. 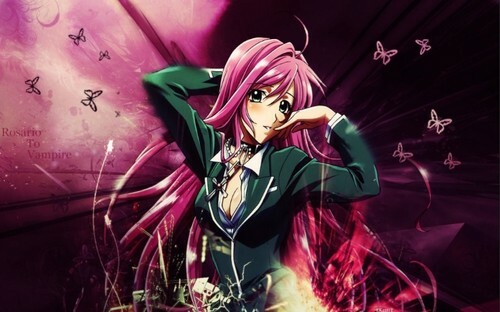 This Rosario Vampire photo might contain sign, poster, text, chalkboard, and concert.